Those of you who are not members of Team100WC (why not I ask? :) ) will not know about our sad occurrence last week. As you will remember, the children who write on 100WC.net had the same prompt and unfortunately one of them decided to engage in some plagiarism. He copied almost exactly one of the post linked here. Unknowingly, I had selected it as the Special Showcase for that week! It left a very sour taste in my mouth and understandably upset the grown up author. I took the post down and contacted the school. I will write a post for teachers to read so that they are aware of it and can look out for it. …Take a Leap of Faith…. Like, last week, you don’t have to include those words in the piece. If you get to write it before midnight on Feb 29th, you may like to put a reminder for yourself to post it on Feb.29th .net as well. It is set to be the biggest blogging event of the year so don’t miss out on getting involved! You can only post on that day – 29th Feb though! This link will close at midnight on 5th March. If you are completely confused by all this but would like to find out what it is all about, read ‘What is 100WCGU?’ which should make things a little clearer! Click here to enter your link and view this Linky Tools list. Do let me know when you have posted so that I can move your entry to the front page! Twitter is the easiest if you can @jfb57 ! Go For It & Don’t Look Back! 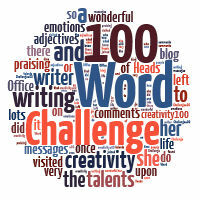 Pingback: 100 Word Challenge: Armour | Even More BonusParts! btw I love the spring flowers they’re beautiful. I thought the snowy back gardens photo was so atmospheric and it had a stark beauty back in December when you posted it. Just recentl though it wa starting to get a bit depressing – I guess everyone is about ready for some spring colours. Pingback: The BIGBible Project | Have you posted on http://feb29th.net/?